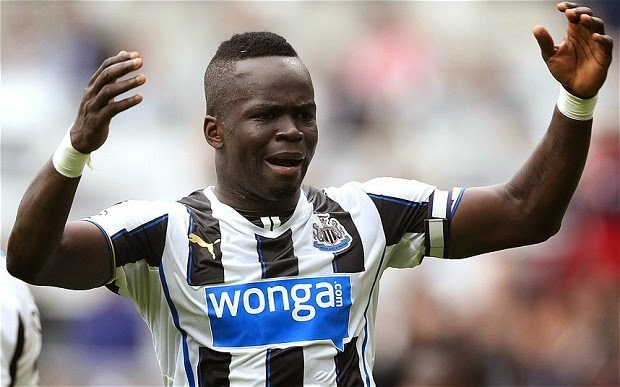 Cheick Tioté performances for Newcastle United this year have been subpar, but perhaps the reason is not the many offers he received from other clubs but rather his love life. It looks like Tioté broke a promise he made to his lover Nikki Mpofu with whom he has a one year old son, when he married his second wife, Laeticia Doukrou, in a ceremony that took place in Abidjan this last September. Are you confused? Well, you should be. Tioté is allowed to have multiple wives, which is normal for Muslim man, as it was made clear by his agent to the Newcastle Evening Chronicle. He was first married to Madah with whom he lives in a mansion just outside of Newcastle. He also has two children with her. Nikki Mpofu has been his longtime lover, an affair if you will, with whom he has a child. She was told by him that he would be marring her next making her his second wife, which she was absolutely fine with. What she wasn’t fine with was with the fact that he passed her up and married Laeticia Doukrou. “He told my mom that he could have several wives. I didn’t have a problem with that but now he has treated me like a rag. He is a pig.” confessed Nikki to the media as she has ended the relationship with Tioté. No wonder he hasn’t been able to concentrate on playing for Newcastle United. Not sure how he can manage multiple wives, one is enough for any man, now you add two wives and a scorn lover to the mix and that is a recipe for disaster.